There is a right size of gutter for your home. Anything other than that size will either not function properly or look strange on your home. Not all New England gutter services understand this. 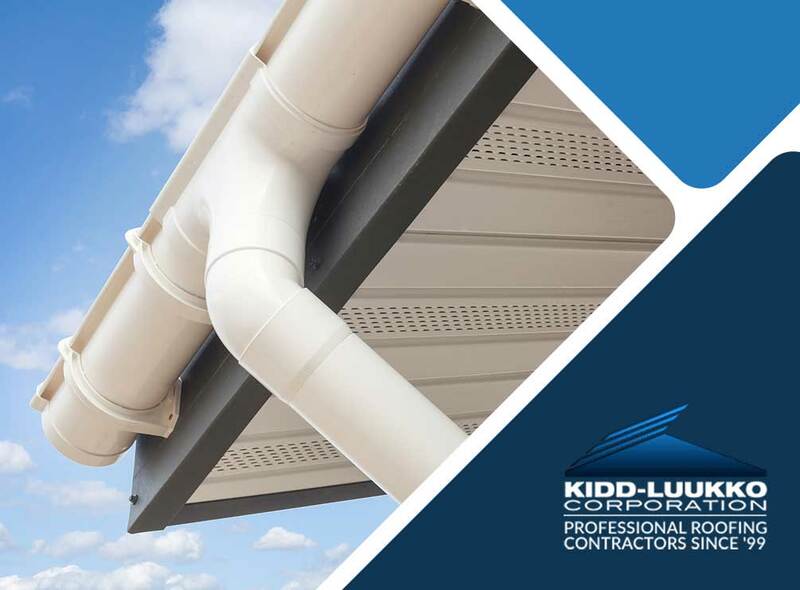 At Kidd-Luukko Corporation, we understand the need for functional and aesthetically pleasing gutters; you don’t have to compromise! Cleaning gutters is not an easy task. In fact, it’s something that most people probably should not do unless they are properly trained. If you have any doubts about your ability to clean your gutters properly, consider hiring a pro. As important as find the right gutter system is finding the right contractor for your new gutter installation. Look for a contractor who demonstrates expertise in roofing and gutter installation, has plenty of testimonials to showcase their great work and can present a portfolio of projects. Gutters come in several different materials, each with their own benefits. The most popular gutter material is aluminum because it’s lightweight, inexpensive and rust-proof. Other more durable options are galvanized steel and copper, with copper lasting for much longer than other options. Turn to the experts at Kidd-Luukko Corporation for all your gutter and roofing needs. Call us at (508) 372-0400 or fill out our contact form for a free estimate. We serve clients in Worcester and Boston, MA, as well as Manchester, NH, and nearby areas.